Jason Han, at the Perelman Center for Advanced Medicine in December. I knew I had one opportunity to correctly process too much information. Furiously scribbling words on paper, I hustled to keep up early one morning as the night-shift intern described how his patients — soon to be my patients — fared overnight. Sample: "She was tachycardic and tachypneic so we intubated her and transferred her to the ICU." After what felt like a hurried foreign-language encounter, he asked, "All good?" With that, I was responsible for 10 patients I had never met. Transitions are an important part of medicine. Providers get flooded with updates during shift changes. Patients transition to and from the hospital and within the hospital to different levels of care. But the transitions that doctors seldom talk about are our own. In my case, the transition from medical student to medical doctor was like the transition between night and day, only more abrupt, like switching on a light in the middle of the night. Before July, my job was to observe. Team members shielded me from clinical duties so that I could focus on learning. I knew that the patients would be cared for with or without me. Now, I am an intern, and nothing matters more to me than taking care of my patients. There is no promise of time for studying, lunch, or even bathroom breaks. My phone goes off every 30 seconds with a new symptom, an unexpected delay, a piece of equipment not working right. Even if I could be in two places at once, I would still feel pressed for time. Now that everything I do directly affects another person's well-being, I second-guess my decisions all the time. Regrets over the smallest mistakes keep me up at night. These personal, emotional burdens are the hardest parts of becoming a doctor, and I am sure they won't ever stop. Just by our adding M.D. to our names, the world will never again look at us in the same way. Our patients' expectations are intimidating, even terrifying. I thought about all this before July, but didn't tell anyone. No one wants to look vulnerable. We all want to find our own way. But since joining a surgical residency with an open and supportive culture among colleagues, my attitude has changed. By sharing our stories, we can begin to look out for each other. During orientation, all of the residents got together on a Saturday and spoke honestly with the new interns. For the first time, I heard people who are far more experienced in medicine talk openly about the questions I had been keeping to myself. When we were interns, we had nights when we thought that maybe we weren't cut out for this. We were worried that we were letting the team down. But we all got through it and so will you. Listening to their stories led me to realize that everyone has moments of self-doubt. The important thing is what we do with them. Do we hide these fears or do we share and grow from them? The parting message was particularly important to me. Know that you can always call us with questions, no matter what time of day. It dawned on me that this transition is not only professional, it's also personal. It's not just a new job but also a family, people who look out for each other. Once I understood that, it became a relatively simple equation. The transitions during internship, residency, and beyond will always be hard, but at least we will be working, growing, and operating as one. 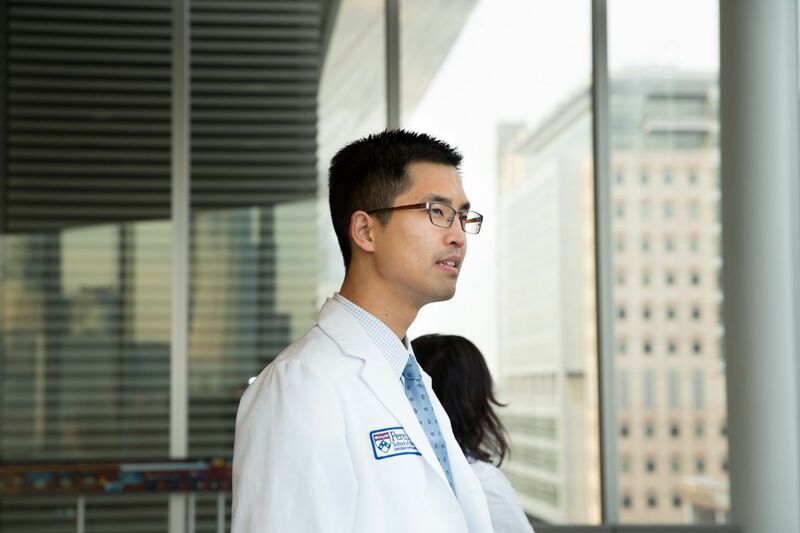 Jason Han, M.D., is a first-year resident in the integrated cardiothoracic surgery program at the Hospital of the University of Pennsylvania.